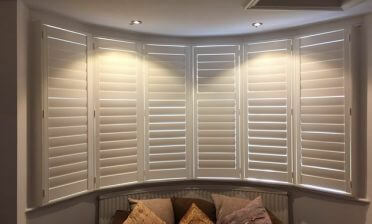 Tom was in our local area of Bromley to fit these stylish café style shutters to a client’s living room area. Facing a busy residential road meant that the client was looking for the ultimate privacy solution, but without having to compromise on lighting into the room. 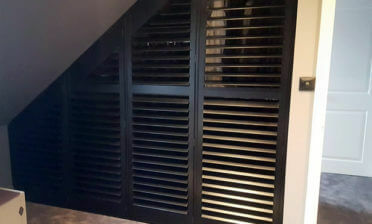 We recommended café style shutters as one of the options, as we can set a level of privacy with the height of the shutters and allow full natural light in through the top section. 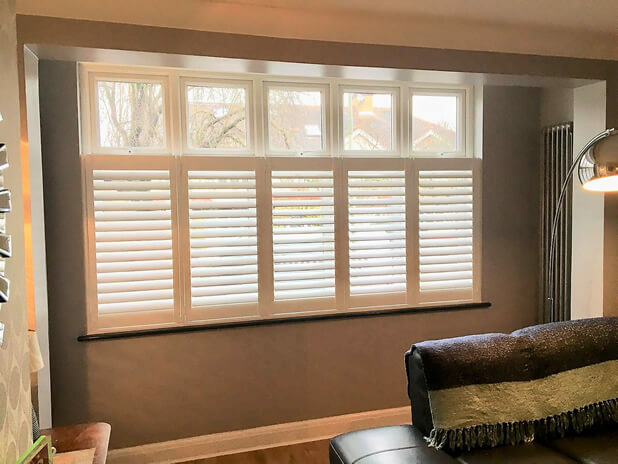 In this case the shutters were designed to run two thirds of the way up the windows, which conveniently also matches the lining of the windows, so is not only great for opening the top sections of the windows but looks correct from inside and outside of the property. The lower sections of the panels can be fully flung open, adjusted or closed depending on the amount of privacy needed. With a wide window such as this it is great to make use of the natural lighting into the room at every possible opportunity, which is why café style shutters have worked so well in this case. 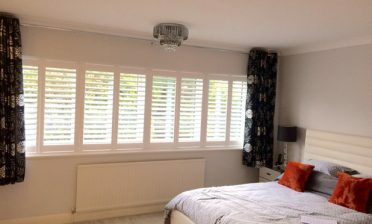 We created the shutters from our Antigua MDF range which although entry level is hard wearing and known to be resistant to bumps and scratches. Once finished it is hard to tell the difference between the MDF and hardwood material. We finished these shutters in pure white which works well against the current grey and wallpaper décor in the room. White is also futureproof and will suit the majority of interior changes over the years! 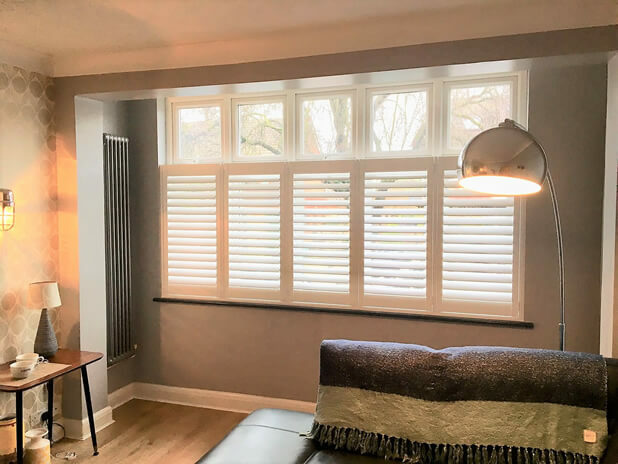 These shutters were designed with a modern feel to them, using hidden tilt rods and 76mm louvres, but with beaded styles to add an element of tradition to the install, which again matches the feel of the room.